The Samsung NX210 falls into the “mini” DSLR category and competes with the Nikon One series along with the Sony Alpha line. The Samsung NX210 is interesting because it was announced only seven months after the Samsung NX200 hit the shelves. 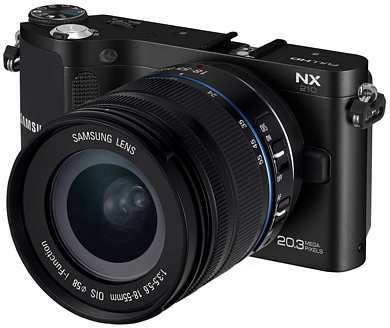 The Samsung NX210 hit the retail shelves at the end of April 2012 and builds off the success of the NX200. Samsung decided to begin phasing out the old camera models in favor of Wi-Fi enabled models, hence the switch within a calendar year between the NX200 and the NX210. The NX210 allows users the ability to transfer photos from the camera via wireless technology and gives accurate geo-tagging to each photo taken (when the feature is turned on). The only physical difference between the two models is the Wi-Fi button that turns on the wireless functions. The Samsung NX210 uses more battery power when the Wi-Fi function is enabled, so caution needs to be taken when using it. According to Samsung, the NX210 battery gives approximately three hours of full time use when Wi-Fi is enabled versus up to seven when it is turned off. As for battery life and photos, Samsung says that the battery will give up to 300 pictures off a full charge. A charger is included with the camera and the battery will go through two thousand charges before it begins to lose function. The NX210 has a lightning fast 8 fps (frames per second) when it is set to burst function. With the SD card memory these shots get recorded in near real-time. The NX210 can handle SD cards up to 64GB in size. Like the NX200, the NX210 interfaces with a USB controlled remote fob. This is sold as an accessory and gives an added level of control when using long telephoto lenses. The lenses themselves are fully interchangeable on the NX210 provided they are K-style. The NX210 has a whopping 20.3-megapixel sensor that gives incredibly crisp and accurate photos. 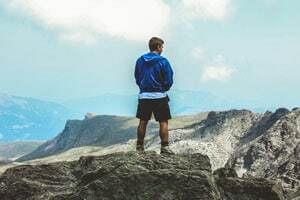 There is very little noise, even when using telephoto or optical zooms. If video is needed, the NX210 shoots in 1080p high-resolution. Expect to get approximately 50 minutes of video shooing off a full battery charge. There is a vivid 3-inch LED screen off the back. Use the screen menu to navigate the multiple functions on the camera. When the need for manual override for aperture and ISO settings is needed, simply flip the button over the “M” to override all automatic functions. The NX210 has a suggested retail price of $899 making it a bit above the average when comparing it to the Nikon or Sony lines of “smart” mini DSLR cameras. That said, with its speed and picture clarity the price may be worth it if precision in color and photo quality is an absolute necessity. The NX210 will take any K-series lens, including those made by another company. The NX210 is a powerful camera that has the ability to expand and grow with the user (add lenses, switch to override manual) and has a beautiful shape and design. The NX210 should be a great go-to camera for amateurs and prosumer level photographers.